By the death on April 2nd, 1947, of Mr Thomas William Proger, at the age of almost 87, the Society has lost one of its oldest members and keenest supporters. 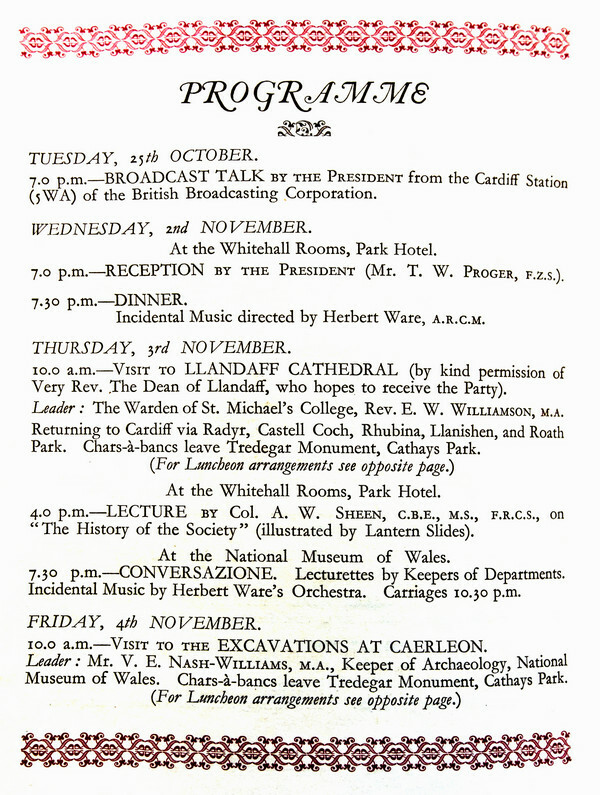 If Mr Proger was not a member of the Society since its beginning, this was due only to the fact that he was barely seven years of age when it was founded. He became a member of the Council in 1883, and for well over half a century was active in promoting the welfare of the Society in the many ways which his varied interests and occupations made possible. He occupied the Presidential Chair for two sessions nearly a quarter of a century apart (1904 and 1928) and served also as President of the Biological and Geological Section. It was with the greatest pleasure that the Council in 1933 nominated him for election as an Honorary Member, in recognition of the many valued services rendered by him to the Society during his fifty years of continuous membership. 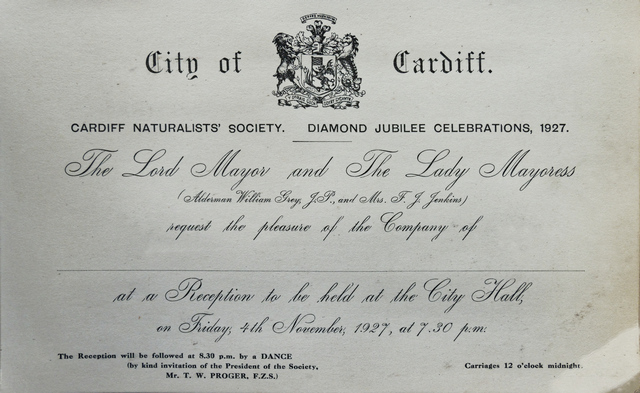 His activities as a naturalist, as well as in wider fields, were of great benefit also to the Cardiff Municipal Museum (with which the Society was from the beginning so closely associated) and subsequently to the National Museum of Wales and it seems fitting to quote the resolution passed by the Council of the National Museum at its meeting in Aberystwyth in May, 1947 "that the Council places on record its very high appreciation of the generous and outstanding services rendered to museum interests by the late Mr T. W. Proger, dating back to the early days of the Cardiff Municipal Museum, and, since 1915, as a member of the Council and of various Committees of the National Museum of Wales, at future meetings of which his friendly presence and wise counsel will be greatly missed." But one would not wish the formal atmosphere of resolutions and committees to figure too largely in an obituary notice of Mr Proger, lest it should obscure Proger the field naturalist, the falconer (his tiercel Nero was trained by him as an eyas), the student of birds and beasts and their ways in the air and among the hedgerows. It is thus that the writer and many others like to remember him searching for bats in a wood near Cardiff, or watching the varied and teeming bird life of the island of Skomer. The results of many of his observations were recorded in the Transactions, his first contribution being a brief paper on the Badger, in the volume for 1888, and his second soon afterwards on local records of the Greater and Lesser Spotted Woodpeckers. 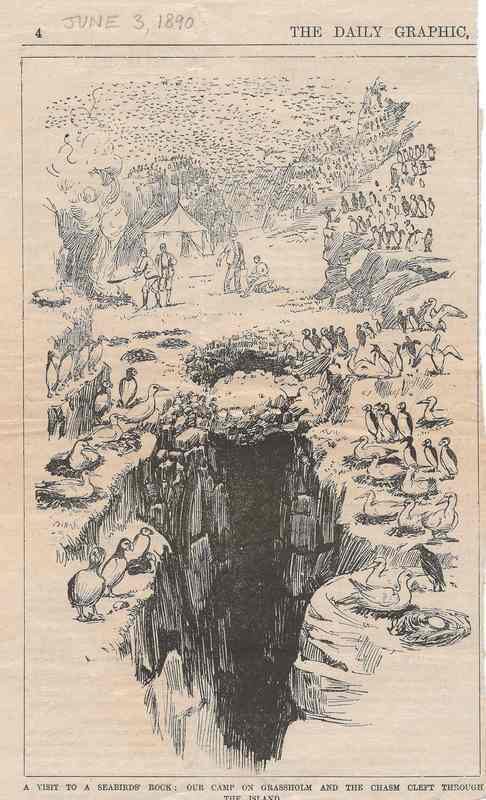 These two groups - mammals and birds - were always his chief zoological interests. Well before the close of last century he was making a close study of the birds of his native county and was one of the committee responsible for the valuable paper on The Birds of Glamorgan published in volume 31 of the Transactions. Thirteen years later (vol. 45) appeared his Wild Mammals of Glamorgan, giving information about thirty-seven species recorded within the county. He was particularly interested in the bats, his work on them being mentioned in various places in Barrett-Hamilton and Hinton's History of British Mammals. 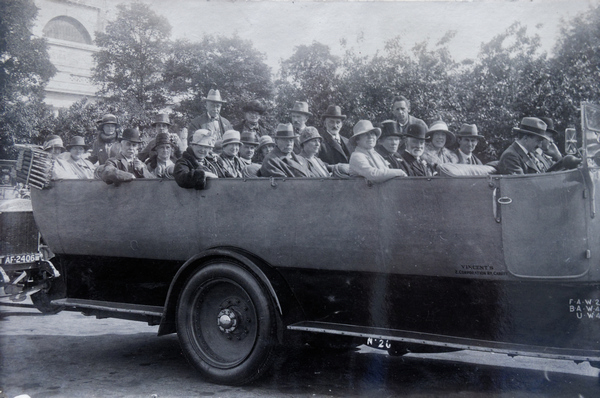 Mr Proger's natural history interests were however not confined to this country. He was a director of the Falkland Islands Sheep Farming Co (started by his wife's family, the Waldrons of Moulsford, Berkshire) and had interests also in cattle farms in Brazil and Patagonia. He improved the livestock breeds in these regions (for example by sending out pedigree rams and Welsh sheepdogs to the Falklands) and took the opportunity when visiting these countries (and Costa Rica where his eldest son was working a coffee estate in which Mr Proger was interested) to study the native fauna and collect specimens many of them now in the National Museum of Wales. He made a journey far up the Amazon to study the Hoatzin and other birds of the area. The passing of this genial personality and keen student of nature leaves a gap which will not readily be filled. Mr Proger is survived by two sons, Glyndwr and Lancelot, and by his daughter Mrs Olwen Easton. In the Biology Curators' Group B.C.G. Newsletter, Volume 2 Number 8. October 1980 there is a Features Institution on the Department of Zoology National Museum of Wales describing the major collections in that there is a short description of an insect collection he donated "Thomas William Proger, F.Z.S. (1860-1947) A small collection of about 1,000 insects from Costa Rica where his eldest son worked a coffee estate. 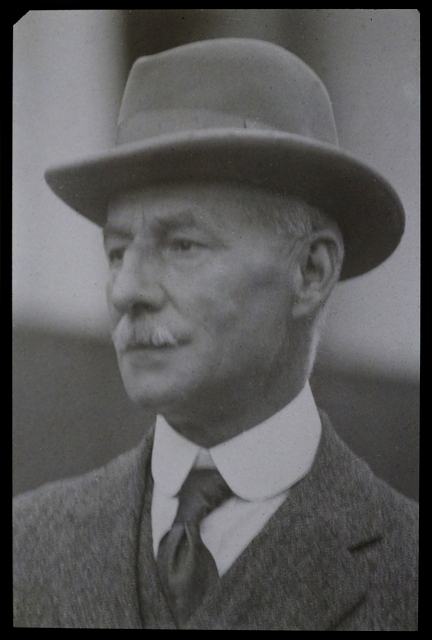 Proger was associated with the National Museum of Wales from its inception and was a keen naturalist who lived in Cardiff but travelled extensively in South America." 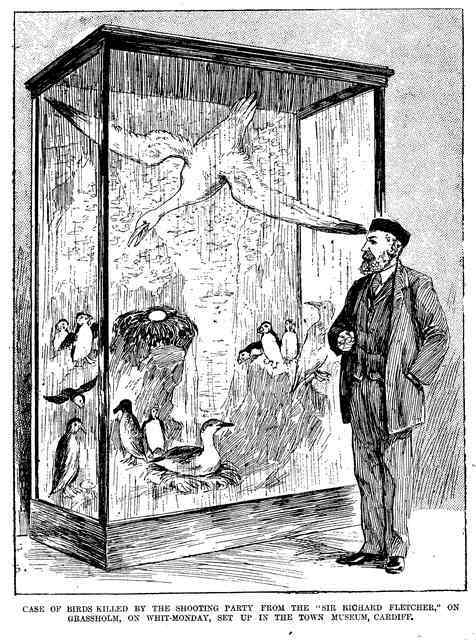 Strangely his obituary does not mention a key event for the Society which has already been mentioned under two other former presidents in that In 1890 he visited Grassholm with three other members of the Cardiff Naturalists' Society, Joshua John (JJ)Neale, Thomas H Thomas and Henry West, to see the gannets. Here they witnessed the destruction of the sea birds by a naval company from HMS Sir Richard Fletcher. They were appalled by the destruction and Thomas sketched the scenes which later appeared in the Daily Graphic and Animal World. Questions were asked in Parliament and eventually the sailors were prosecuted by the RSPCA and fined. In order to aid the protection of the birds on the Welsh off-shore islands as well as to aid research, J.J. Neale took over the lease of Grassholm and Skomer.